Miya Ando’s 銀河 Ginga (Silver River), photographed by Johnny Le. One of our favorite Astoria “Spring Things” is enjoying the amazing local parks, and Socrates Sculpture Park just announced their Spring/Summer exhibit: Chronos Cosmos: Deep Time, Open Space. Located along the waterfront of the East River, Socrates Sculpture Park beautifully combines art and nature with their exhibitions from renowned artists every year. 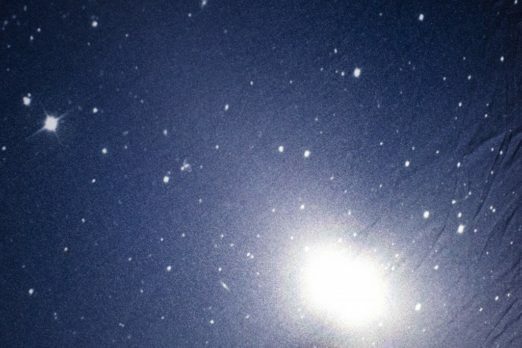 This year, from May 5 through September 3, the park will display work that “considers space, time, and matter in relationship to celestial entities and earth-bound processes,” according to their press release. Miya Ando’s 銀河 Ginga (Silver River) (as seen above), is a print of the Milky Way on translucent textile, which will be hung along the East River shoreline. Galactic Playground by Eduardo Navarro. 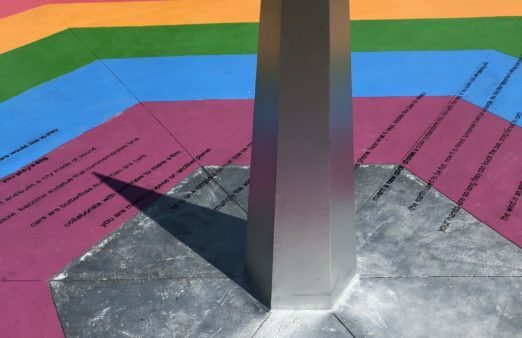 Eduardo Navarro’s Galactic Playground is a 42-foot sundial whose shadow points to poetic verses instead of numbers. 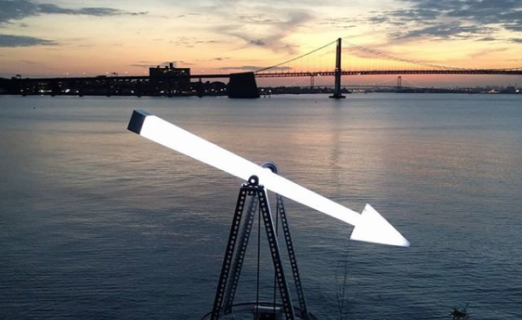 Heidi Neilson’s Moon Arrow – long duration spins on a wheel and points to the direction of the moon, wherever it may be at that time of day. Though the works won’t be on display until May, Socrates is free and open to the public 365 days a year, from 9 a.m. until sunset.